Today is Blog Hop day over at Proverbs 31 Online Bible Studies! I am writing about a time specific time God spoke to me and I had a “say what” moment. My life has been full of searching for someone or something to fill a void I have had most of my life. I have searched for acceptance, valued and loved. As a child and a teenager, I didn’t feel accepted, valued or loved by my family. Now that I am older I know they did loved me – very much so – they just couldn’t love me in the way I needed. I married and had children very young so that I would feel loved. What a surprise to me that marrying and having children didn’t fill that void. I blamed my children, my husband, and the things that happened to me as a child. I was mad at everyone around me, especially God, for the life I felt I deserved and didn’t have. I wanted a life full of happiness, peace and love. I didn’t want the life I had that was filled with conflict, anxiety and stress. As I entered my thirties I realized I needed to bury my past and get over myself. I began to rebuild my relationship with my dad, I quit being so angry and I started accepting my life. I began to go to church regularly and read my Bible. For the first time ever in my life I was feeling a sense of peace. I asked my husband “does this means I can walk away, having nothing to do with my family ever again?” He looked at me with sadness and concern asking “why does it matter?” I replied “I don’t like the person I become when I am around my family. I get resentful and bitter. I don’t want to hope and then be disappointed.” He asked again “why does this matter so much now, you have been hurt and disappointed before. Why does it matter so much this time?” Tears were running down my face, there was an empty hole in my heart. As the tears ran down my face, I heard clearly, distinctly and lovingly….. I knew instantly I heard the voice of Jesus! I understood what He whispered to me: I did matter to Him, I was important enough, and He did fight for me. All that love was shown on the Cross. That day changed my life – that was my #saywhat moment and the day I decided to say yes to follow Him. This weeks blog topic I choose was number 4. #yestoGod. Share a time you caught a “glimpse of eternity” as you said yes to what God was asking you to do. I can totally relate to Lysa’s hesitation when God asked her to give her Bible away. I remember the day God asked me to give away something just as precious to me. As I was praying the Rosary for a dear friend who needed some serious prayers for her child, I had the sense God asking me to not just pray for her but to GIVE her my Rosary. I teared up as I handed it over the post office counter. Afterwards, I stopped into the Catholic store and bought me a new Rosary. Walking back to my office with my new Rosary in hand I thought “really God?” and then I heard a whisper “new Rosary – new chapter!” I paused to think about that and it was true, I was entering a new chapter. My son had not been hospitalized in over a year and even though he wasn’t able to live on his own, he had just moved into an independent living home and was doing remarkably well – all my prayers were being answered. As I thanked God for that, I heard another whisper “Your old Rosary was passed on to another mama who knows the heartaches and tears of an unknown future of her child.” I bowed my head in awe and thanked Him once again. Who was I to argue with God and His plans? Whatever God says do, do it! Oh I had all sorts of grand plans for when I grew up. I was going to marry prince charming, have four adorable and well-behaved children, own my own dream home with a white picket fence and a wrap around porch where I would sit in the afternoon admiring my children at play. Inside my home would always look like Martha Steward herself lived there. I would be a picture perfect mom and wife. Our home would be filled with the laughter and love of family and friends. I could never have dreamed of the blessings that came with God’s plans for my family. Yes, I called all of that a blessing. Why? Most marriages don’t make it through the kind of stuff we went through: married early, two small children, Marine Corps, special needs children, and life-threatening illnesses. But God knew exactly who would stick by my side through all of it, even if we didn’t like each other very much on some days. We will celebrate 22 years of marriage this year. I questioned, ranted and raved asking God “why? why me?” Then one day I realized God was teaching me about unconditional love, patience and the bigger picture. Because we didn’t have close friends we depended on each other very much and our dependence on God increased. Because I didn’t have a girly girl my daughter opened up the world of sports to me. I look forward to going to basketball or baseball games. I never thought our son would be able to move out. God knew though. Our son is flourishing in a new home learning daily life skills with the hope of one day moving into his own apartment. When our son moved out in April 2011 and our daughter was in her own apartment at college I thought “finally smooth sailing – it’s been a very long 22 years!” I thought surely we have faced and conquered enough obstacles to last three lifetimes……. Six weeks ago our 20-year-old daughter was diagnosed with seizures. As we look back over the years we realize now that what we thought were migraines were seizures. This is a pivotal time in her college education – Spring semester of her junior year. Her life has changed. She needs other people to drive her. She has to ask for help and that bothers her greatly. I have to once again rely completely on God. Do I still say all of this is a blessing? Yes – a thousand times over yes!!! The one central unchanged theme in my life has been I have needed God at all times, in all circumstances! Each time I thought “whew, that’s behind us, it should be easy peasy from here.” I would find myself on my knees asking God to see us through. If I would have had my dreams come true, I wouldn’t have needed God for anything. His plans require that I need Him minute by minute. I have lived through hell, been broken and had my dreams crushed but through it all God has been and will continue to be my Refuge, my Rock and my Shield. Yes, His plans are always better than my dreams. By the way – I absolutely married my prince charming. I have been reading MY ONE WORD by Mike Ashcraft & Rachel Olsen. On Christmas Eve morning I began reading Chapter 3 ~ Pick Your Word. As I heard that Scripture being read I clearly heard the word DAUGHTER. However, it must have been the LORD using it to get my attention. Before the Gospel reading, EMMANUEL was on my heart and mind. Father Ed’s homily helped me to know for certain. Father Ed opened his homily asking “what can we do to grow?” Today is born for us a Savior! Salvation was born 2000 years ago and again today in 2012. Salvation lives within us. Salvation is not a what, it’s a Who. 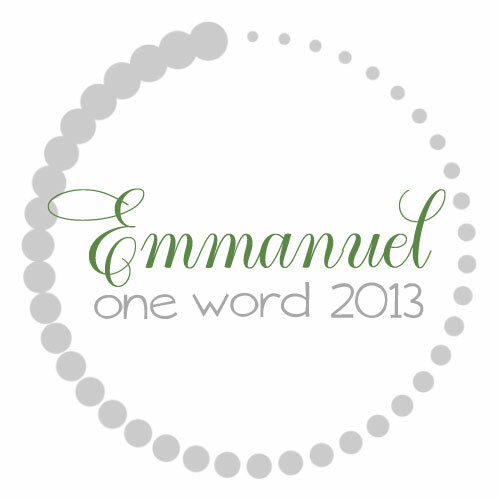 God is with us – Emmanuel. As the Christmas song states “do you see what I see?” All through the centuries people have been compelled to announce this to others. Christ is Born! For us a Savior is Born! We make known that message very clearly by the way we live each day. Our own priceless gift this Christmas Season and everyday is to bring Christ’s presence to others. The greatest gift we will ever give to another person – our parents, a child, our lover, our boss, our employer, our neighbors or our friends – is Christ’s presence. The gift of Christ’s presence also invites us to allow God to live in our lives, to open our hearts to the presence of God within us. The story of Christmas never grows old. Perhaps because it tells us of God’s great love of us. God loves each and every person, with an everlasting love. Your presence is important to God and everyone! Believe that!!! Every one of us are precious! Father Ed’s homily hit every point I thought of as I was praying for MY ONE WORD. I want to bring Christ’s presence to others. i want to be kind, merciful, giving, compassionate. I want to be those things not only to my family and friends but my co-workers, my boss, my neighbor and the stranger I meet. I want to be those things not only when I feel good but when I don’t feel like it. I want others to know God’s absolute, everlasting love through me and my actions. EMMANUEL ~ GOD IS WITH US! I want to thank Jamy for asking me to guest post today. She is a great friend, my prayer partner and a dear sister in Christ. I am very blessed to have her in my life. My perspective this Christmas Season on counting every blessing and taking hold of each precious moment, capturing them before they are gone. I hope you leave all the stress behind and do the same – before you know it, it’s here and gone! What a difference a week makes LORD! What a difference 24 hours make! A reminder that our time here is very short and precious. I want to yell, scream and stomp my feet. Why? Why Rich ? Why now? He was so full of life. He made the world a better place just by living each day with so much joy. He went out of his way to help people: family, friend, coworker, neighbor or stranger it made no difference. He lived a life of service. He cherished Amie and his daughters. They were his life and his world. I can still see the way his eyes lit up any time he talked about them. 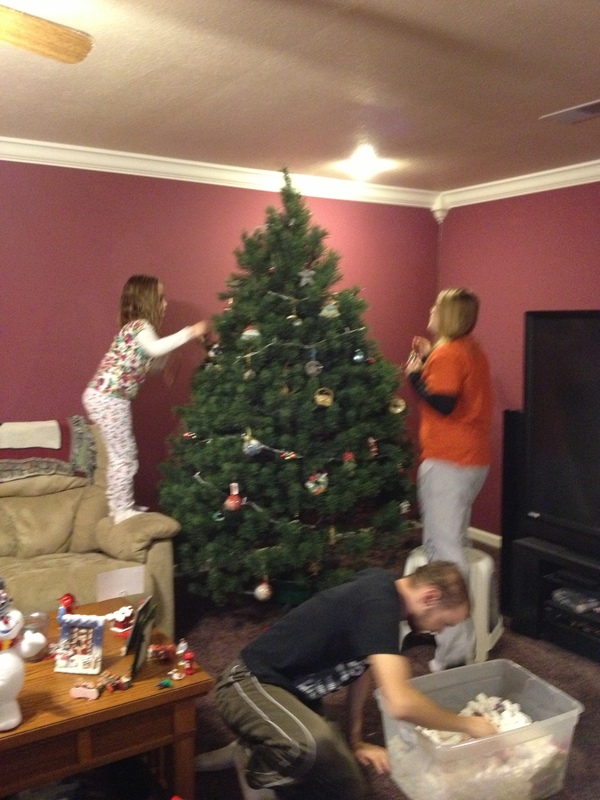 And then there was his work! Or as I like to think of them……the 3 Musketeers. Nick, Larry and Rich. all three very passionate about the work they do. All three giving the best of themselves to build a company that is known for integrity, honesty, doing what’s right and where the customer is the priority. That says so much about the character of each one. They not only lived it, they held each other accountable to continue living with those values. They respected each other but above all they considered each other family. It doesn’t always take blood to be brothers. So I have to ask why LORD? Why Rich? Why now? He was too young, he had so much more life to live, he had more years of being Amie’s husband, more years of being Lexie and Anna’s dad, and there can’t be a 3 Musketeers with only 2!!! His work here was obviously done but how do those left behind more forward, how do we go on without him here? How does Amie, Lexie, and Anna begin to put back the pieces of their without their husband and father? I know Your Word says: Your ways are not our ways; Your timing is perfect; Your plans are to prosper us not to harm. I know Your Word always bears fruit and will be there for them but LORD honestly right now I don’t want to give them a Bible verse. Show me a way I can be of help to them, to be the hands and feet of You. To live out Your Word instead of repeating Scripture in their time of need. I ask for Your mercy LORD. 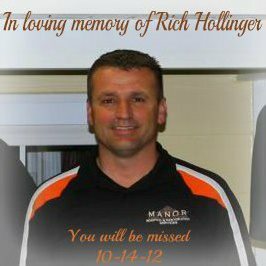 Wrap Your arms around Amie, Lexie and Anna; every member of Rich’s extended family and his Manor Roofing family let each one feel Your presence in a deep comforting real way. Let peace come into their souls, hearts, minds and bodies. Remove all worries from them LORD and replace it with You. Place on their hearts and minds good memories of Rich so that instead of crying through the pain they can laugh through the tears. Help them to celebrate the man You created in Your image. In the days, weeks and months ahead I ask for Your servants to be there in the time of need for Amie, Lexie and Anna – just to be there for them in the way they need. May the three cling together in their grief and not allow this to divide them. Help them to be patient, understanding, kind and forgiving not only to one another but to themselves as well. LORD, my heart breaks for them. I just ask You to hide them in the shelter of Your protective wings and let no more harm come to them, only Your rich blessings. Remind them that they are strong through You. In Jesus’ Name I Pray ~ Amen.